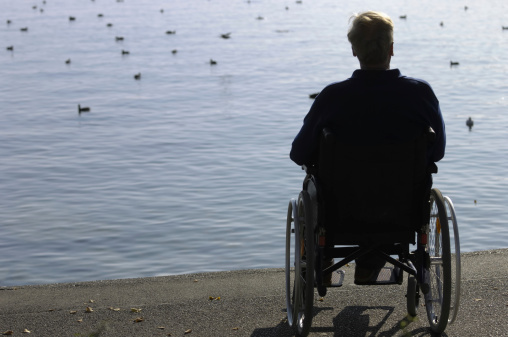 Appeals of Disability Claims Benefit from Experienced SSD Lawyer - Harrison White, P.C. It often makes sense for people who have been turned down for Social Security Disability benefits to file an appeal. Field offices that make initial decisions have very limited flexibility. They cannot account for an applicant’s whole story. For example, if Joe cannot work due to a disability, but his diagnosis isn’t listed in the Social Security Administration’s book of disabilities and the only job he could perform does not exist within a thousand miles, the field office may still deny his application. When a field office denies a claim, the applicant can appeal to an administrative law judge. In Joe’s case, an administrative law judge may take a more detailed look at the situation. The job description for an administrative law judge historically has included the phrase “complete judicial independence.” They were hired to make judgments on their own with no outside pressure. However, this is changing. A recent Wall Street Journal article reported that administrative law judges are now “subject to the supervision and management” of other agency officials. According to the Association of Administrative Law Judges, this means that judges could be subject to pressure to deny disability claims regardless of their merits. That’s unfortunate. The change comes at a time when the rising number of applications has led some to claims of fraud in the system. This could mean that an administrative law judge will feel pressure to deny an application. The focus on a particular approval rate is entirely centered on the false presumption that there is an ideal rate, regardless of the details of individual cases. This doesn’t mean that legitimate claims will be denied in the future, but it does make it all the more important to work with a knowledgeable SSD attorney to present your strongest case when seeking SSD benefits. An experienced attorney will know the specific medical language that administrative law judges need to approve a claim and be sure that the judge hears all of the information that is important to your case.